I became certified as a breastfeeding educator in 2004 and accredited as a breastfeeding counselor in 2005, so I’ve been working with breastfeeding mothers for a long time. I lead a monthly support group and offer help/counseling via phone, email, text, Facebook message, Words with Friends messages, you name it. Recently, a nurse contacted me asking for ideas for teaching an early pregnancy breastfeeding class. I think this is a great idea, since mothers’ decisions about breastfeeding are often made before the baby is conceived and if not then, during the first trimester. 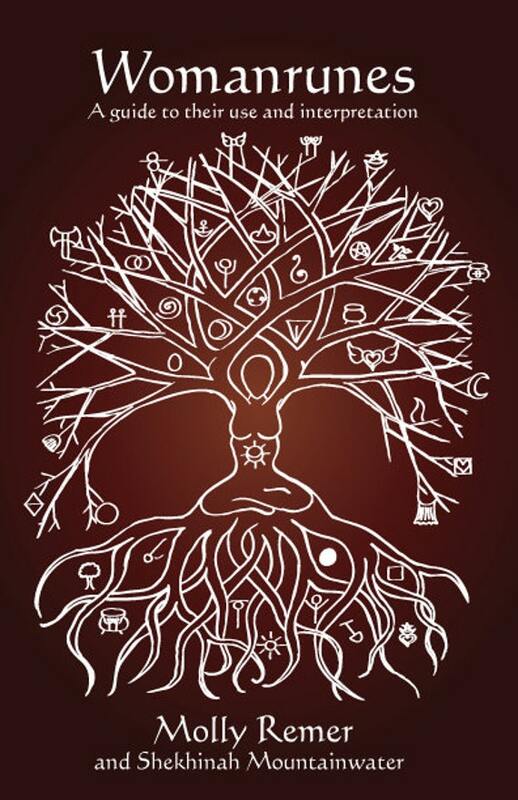 Focus on what the mothers themselves want—what do they need/want to know? What have they heard about breastfeeding? What are their fears? What misconceptions do they need cleared up? I’m very much about peer-to-peer support and allowing space for the women to talk to/connect with each other—the facilitator is then available to clear up misinformation and provide tips. Focus on what mothers can do to prepare for successful breastfeeding—there is evidence that prenatal breast massage/colostrum expression helps with both milk supply AND with mother’s comfort with her own breasts. It also helps her think of herself as a breastfeeding mother BEFORE her baby is actually born! Suggest good books to have on hand and encourage attending a breastfeeding support group (like LLL!) prior to baby’s birth. Discuss and emphasize all of the other great ways dads and other family members can be involved with baby other than giving a bottle. Dad/grandma can do EVERYTHING ELSE baby needs! That’s cool! Leave the feeding to mom and let dad have the other special and important jobs like baths and burping and tummy time and more. DON’T talk about “myths” and try to dispel them in a myth-fact format, because evidence suggests that this actually helps the myths stick more! Since her email, a couple of other resources and bits have caught my eye. 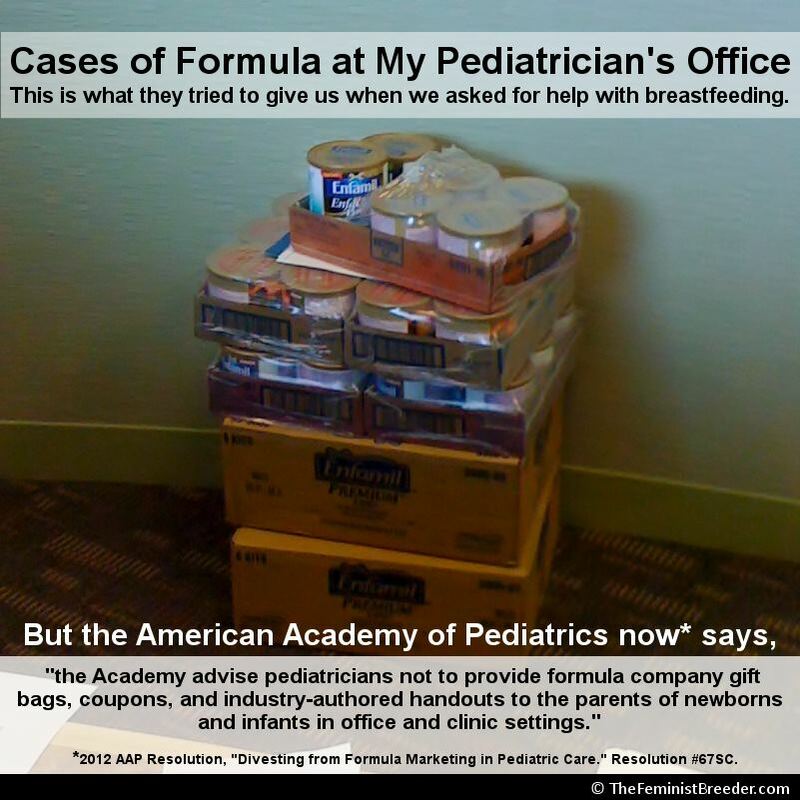 One is that the AAP has a resolution about the distribution of formula “gift bags” by pediatricians and hospitals. Apparently this came out in 2011, but it only came to my attention when I saw this image on Facebook! We encourage you to make the Breastfeeding Bill of rights and Hospital Experience Letters available to moms in your classes, practices, community events, breastfeeding fairs, “rock & rest” stations, etc. Encourage moms to fill out the appropriate letter and mail back to the hospital where she delivered her baby. Or collect the letters and mail them from your agency or task force. Help moms make their voices heard! We hope that this will show hospital administrators that lactation consultants, knowledgeable staff and breastfeeding friendly practices are valued by moms and families using their hospital services. Also, make sure to check out this awesome resource, the WIC Sharing Gallery—free programs, curricula, brochures, and more from different WIC offices. I found this because I was back at the Illinois Breastfeeding Taskforce’s website downloading their Grandmother’s Tea curriculum for intergenerational support of breastfeeding. Another great resource is the FREE online Tear-Sheet Toolkit from La Leche League. And, finally, I already touched on this, but remember there are ample handouts/articles available from the incomparable Diane Wiessinger about birth and breastfeeding.